African Americans and ethnic minorities experience racial discrimination in a variety of settings. Racial discrimination is a potent stressor that has been linked to psychosocial stress and poor physical health. To cope with discriminatory experiences and daily life event stressors, African Americans frequently use the concept of John Henryism (a high effort coping strategy with prolonged exposure to stress). This cross-sectional analysis explored the relationship between racism/discrimination, John Henryism, and health problems in a predominately African American sample. Data were collected through health care screenings for hypertension, diabetes, and obesity and a self-report survey to assess experiences of discrimination and use of John Henryism. Logistic and linear regression models were used to assess the relationship between the John Henryism score, racism/discrimination score, and health problems among 352 participants. John Henryism was associated with a decrease in systolic blood pressure (b = − 12.50, 95% CI = − 23.05, − 1.95) among men, after adjusting for experiences of racism/discrimination and demographic characteristics. Experiences of racism/discrimination were associated with an increase in systolic blood pressure (b = 11.23, 95% CI = 0.38, 22.09) among men, after adjusting for John Henryism and demographic characteristics. Among women, there was no association found between John Henryism and experiences of racism/discrimination with systolic blood pressure. No association was found between John Henryism and experiences of racism/discrimination with being overweight/obese in women nor men. The study found that John Henryism was positively associated with the health of men, while experiences of racism/discrimination were negatively associated with their health. Limitations of the study are discussed, and recommendations are made to guide future research exploring the concept of John Henryism as a relevant factor between stress, racial discrimination and poor health. This research was supported by the Johns Hopkins Center for Health Disparities Solutions, National Institute of Minority Health and Health Disparities of the National Institutes of Health under Award Numbers 5P60MD000214-14 and U54MD000214. The content is solely the responsibility of the authors and does not necessarily represent the official views of the National Institutes of Health. The authors of this paper do not have any conflicts of interest to disclose. The data were deemed exempt from human subjects review by our Institutional Review Board. National Public Radio. (2017). You, me and them: Experiencing discrimination in America. https://www.npr.org/series/559149737/you-me-and-them-experiencing-discrimination-in-america. Semel Institute for Neuroscience and Human Behavior. (2011). How do you cope? https://www.semel.ucla.edu/dual-diagnosis-program/News_and_Resources/How_Do_You_Cope. Center for Disease Control and Prevention. (2018, January 17). Smoking and tobacco use: Health effects of cigarette smoking. 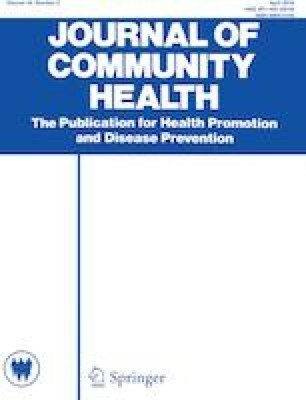 https://www.cdc.gov/tobacco/data_statistics/fact_sheets/health_effects/effects_cig_smoking/index.htm. U.S. Department of Health and Huan Services Office of Minority Health. (2017). Obesity and African Americans. https://minorityhealth.hhs.gov/omh/browse.aspx?lvl=4&lvlid=25. World Health Organization. (2018, February 16). BMI classification. http://www.who.int/news-room/fact-sheets/detail/obesity-and-overweight. Center for Disease Control and Prevention. (2016, June 16). Defining adult overweight and obesity. https://www.cdc.gov/obesity/adult/defining.html. Center for Disease Control and Prevention. (2018, July 30). Measuring blood pressure. https://www.cdc.gov/bloodpressure/measure.htm. American Heart Association. (2016, October 31). Low blood pressure—When blood pressure is too low. http://www.heart.org/en/health-topics/high-blood-pressure/the-facts-about-high-blood-pressure/low-blood-pressure-when-blood-pressure-is-too-low.